Deep Cleaning started several years ago and has since become one of the most popular and highly respected cleaning companies in London. Not many people enjoy cleaning, which is why leaving it to the experts is such a good idea. Our London deep cleaning services are at the best prices right now, so don’t miss out. If you need some help with cleaning your home or office, get in touch with our office now on 020 3744 1943 and we can assure you that you will be more than satisfied with both our services and our prices. Plus, if you call now, you will get a free quote! Need home cleaning? If your home is looking a little drab and smelling a bit foul here and there, you need to get some help. It can’t be nice inviting guests over to your home if it is in such a bad state. Take the easy route out, save your own time and hire us now for thorough deep cleaning and you will be so glad you hired us. Just call 020 3744 1943 today for more information and our advisers will be over the moon to help you. Our services are all incredible. So let us help you and we’ll transform your home. If you are looking for deep cleaning because, if your house is in a bit of a state, we can offer you just that and even better, we have an amazing team of house cleaners to do all the work for you. Let them clean your house from top to bottom and make it shine and smell fresher than ever. Say goodbye to dust, dirt, and clutter. We’ll tidy it all up for you. Every individual of our team is efficient, flexible and really swift. In no time, your home will be polished and smelling like daisies. Our cleaning services are all eco friendly. Did you know how damaging the majority of cleaning products can be on your health? The truth us, most of them contain toxic chemicals that can be lethal to your health. We choose to use natural deep cleaning products in London, free of all harmful chemicals. There are many eco friendly products on the market today and it’s so important that more of us start taking more care of the environment, for the sake of the planet, our health and the future generations. When we clean for you, you can enjoy the scent of natural cleanliness. We use nothing that harms the environment. So allow us to provide you with a green clean. Book now with Deep Cleaning and get the best deep cleaning services in London. With our years of experience, we can promise you that you’ll receive only the very top quality of service. We use a very special and secret technique to make your home squeaky clean. 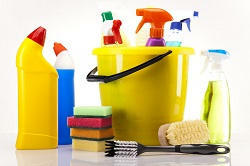 Why don’t you let us take the stress off your shoulders and let us be in charge of your domestic cleaning. Your home will look brand new again and revived once our cleaners have been in and worked their magic. Just call us now on 020 3744 1943 and you can get all the details you need on our services and our full price list. Don’t let cleaning bog you down. Let us do it for you instead. After the job their team did, I'll definitely be using DeepCleaning again. Their cleaners did a suburb job and left my house spotless. Description: Highly qualified and experienced cleaners available 7 days a week offer exclusive prices on deep house cleaning services. Call 020 3744 1943 right away! Copyright © 2015 - 2016 Deep Cleaning. All Rights Reserved.